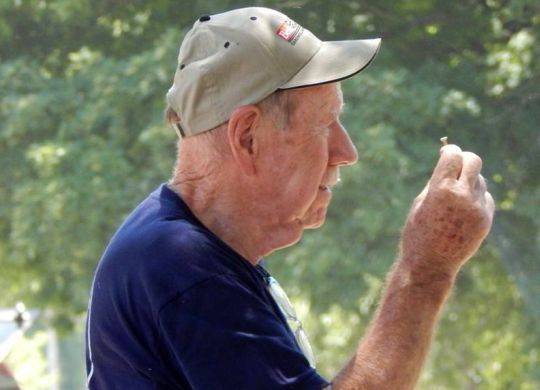 The Millard Fuller Legacy Build is a weeklong project, but for longtime Fuller volunteer and supporter Doug Miller, it all builds up to a single day … actually, a single moment. Miller first got involved with Millard Fuller’s affordable housing ministry in 1999, when he participated in the Jimmy Carter Work Project in The Philippines. It was there that he got to know Fuller and meet President Carter, who years later would welcome Doug and wife Jill to their home in Plains to thank them personally for their financial support of The Fuller Center for Housing. According to Miller, he almost had no choice but to become a mainstay of the ministry. As a block captain, Miller is keeping his eye on multiple work sites at this year’s build rather than swinging his hammer at a single house. But whatever role he can perform with The Fuller Center, he’s happy to do so — whether it’s shoveling mortar in Nicaragua or helping solve the urgent issues that constantly pop up during a blitz build like this one. 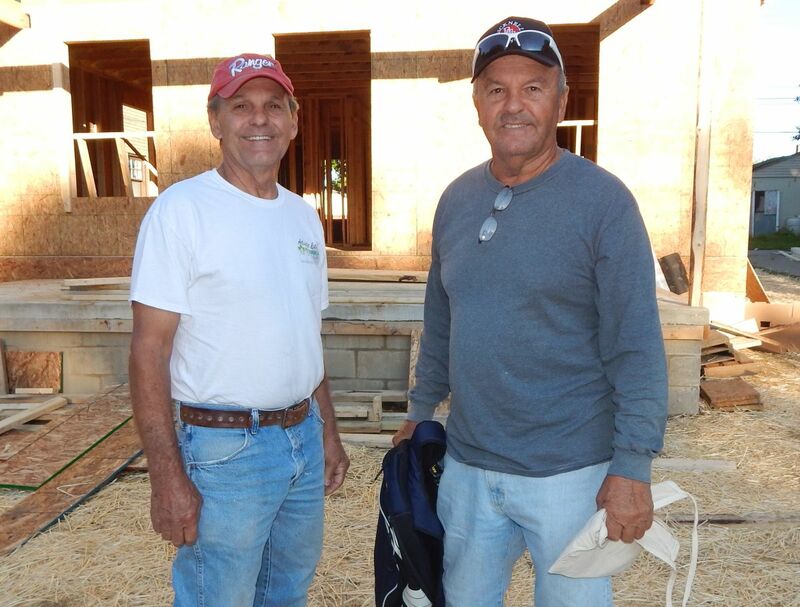 Brothers Ray and Eldon Graber outside the house where two other brothers, Merle and Steve Graber also are working. Another fixture on these builds is Mr. Graber. Of course, when you say “Mr. Graber” on a Fuller Center Legacy Build site, you have to be a lot more specific as that could mean any of the Graber brothers — Merle, Ray, Steve or Eldon. Of course, having a few Graber boys on the site is not just about a family reunion. They are all expert builders, and that makes for a smooth build, especially when they do succeed in talking friends into going along. “We know we’ve got experienced help to spread out with the younger kids and whoever to just make the project go easier,” Eldon said. 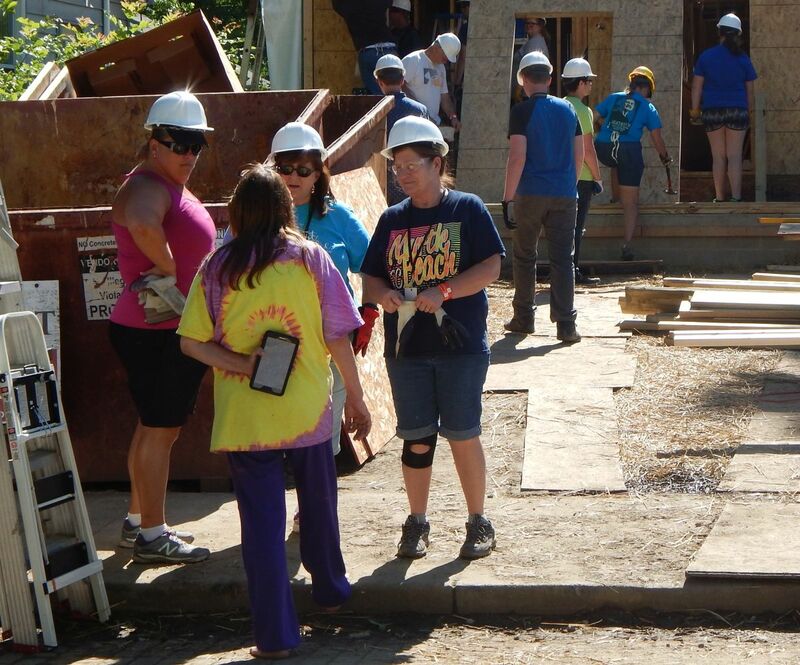 Longtime Tuxedo Park resident Brenda Dennis chats with volunteers at a home site on North Bradley Avenue. Brenda Dennis has lived on the corner of New York Street and North Bradley Avenue for three decades — during which time there have been no home building permits issued in her zip code … until now. And she welcomes the construction noise as she walks the street visiting with the volunteers who are making this possible and thanking them for their service. The “right people” include families like J.R. and Tia Morris and their four children, who will be moving into the Fuller Center home being built closest to her house on North Bradley. Dennis has checked in daily on the progress and visited with the family.